As an advertiser, the more you know about your customer personas, the better the content you can create. Rich customer data also helps determine how to distribute this content effectively, which leads to more successful marketing campaigns. But gathering this customer insight can be expensive and time-consuming. You have to run extensive surveys, conduct one-on-one interviews, and collect regular feedback. In an ideal world, you would have the resources to do all of the above. But in reality, you often have to charge in blind, armed with just your intuition and fragmented conversations with clients. 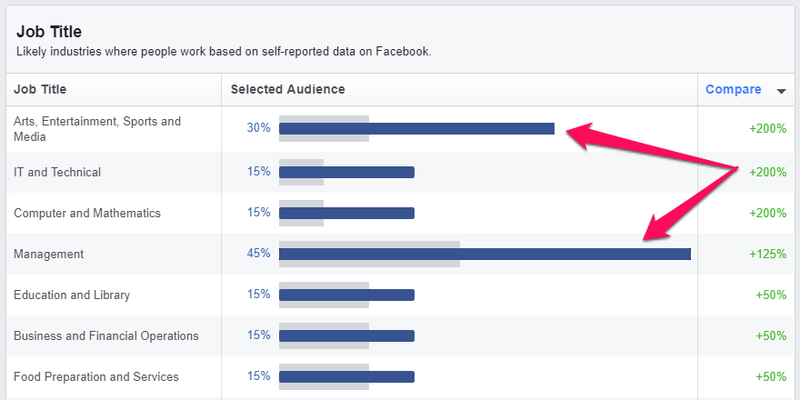 Fortunately, there is a little-known solution called Facebook Audience Insights. Apart from helping you run better Facebook ad campaigns, Audience Insights is also a fantastic tool to gather customer insight. 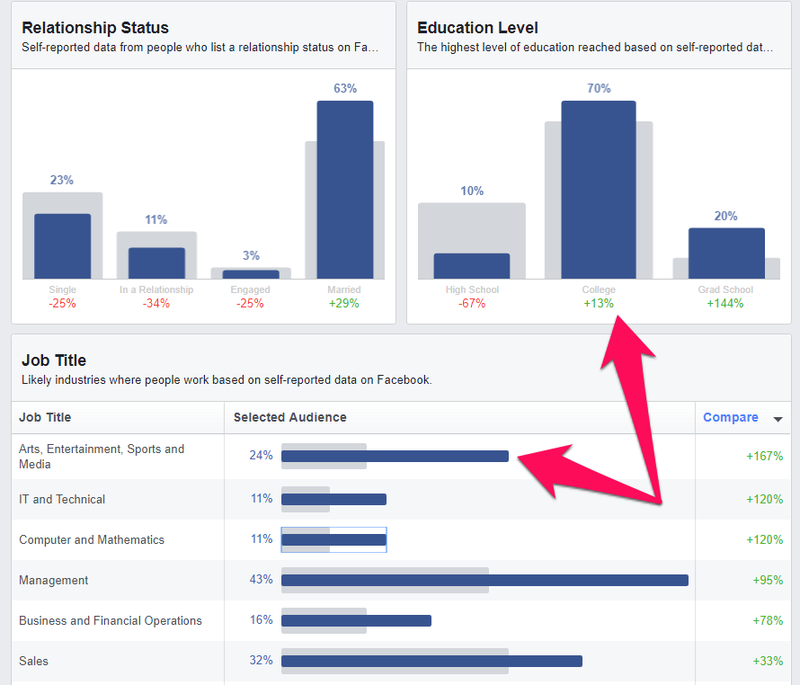 By combining raw intuition with Facebook’s hard numbers, you can create detailed customer personas. The result? Content that your target customers love. Plus, higher conversion rates. Read on to learn how to use Facebook to develop your customer personas today. A customer persona is a biographical sketch of a single representative customer, or your “ideal customer.” While this persona has some hard demographic data (age, location, gender, etc. ), it is mostly a subjective summary of the customer’s likes, dislikes, problems, and desired solutions. There is no limit to how many customer personas you can have. A large business like Amazon might have hundreds, even thousands of customer personas, while a bootstrapped SaaS product might just need a couple. Use a writing style that’s aligned with the demographics. Persona B, on the other hand, represents an entry-level employee. They don’t make critical decisions yet, but can tell decision makers about your product. Use a more casual writing style aligned with the demographics. 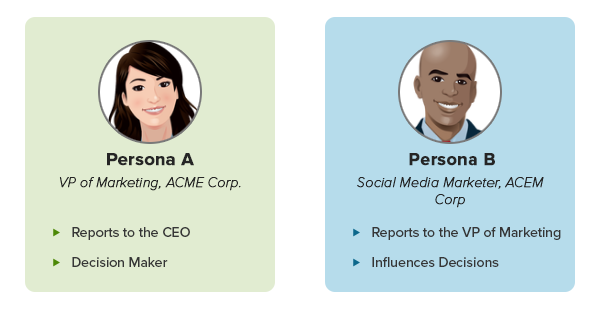 As you can see, a content marketer would likely create two very different content marketing campaigns for these personas. Detailed customer personas will make content creation easier and help you attract targeted traffic. So, how do you create customer personas? 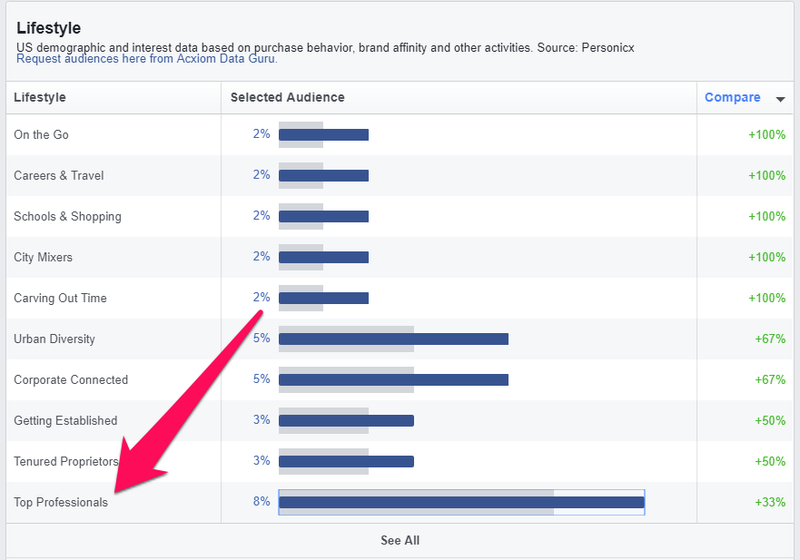 This is where Facebook Audience Insights helps. Facebook Audience Insights offers a fast and free alternative to extensive surveys and expensive focus groups. Let’s look at how you can use this nifty tool to create customer personas. The first step is to find and research a popular competitor. This will give you the initial data you need to zoom in further on individual personas. Ideally, this competitor should be popular, yet niche. If you’re selling software, don’t research Adobe; your data will be too broad. Instead, look up 37Signals or FogCreek. 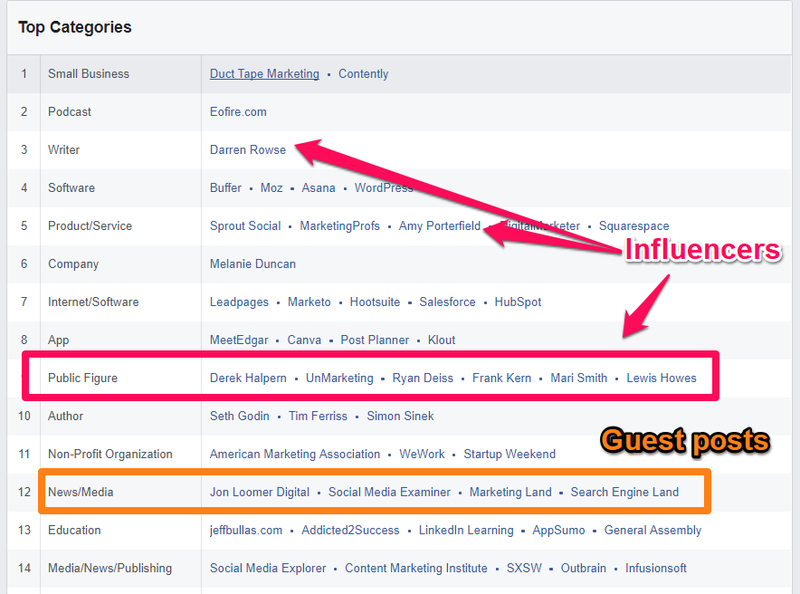 Go to Audience Insights and plug this competitor into the “Interests.” In this example, I used Copyblogger to research content marketing customer personas. You can already see that this first step already yields some interesting insights: most of Copyblogger’s audience are older than 25 and, for the most part, women. Once you have your seed data, you need to find related pages that have a high affinity with your existing audience. To do this, go to “Page Likes” and sort the pages by affinity. Make a list of at least five or six pages. While this won’t give you specific customer personas, it will help paint a general picture of your target audience. The Education and Job Title section shows that my selected audience are mostly college-educated and work in media, management, or sales roles. Once you dive further, you can start creating your customer personas. Your next step is to drill down further and create specific customer personas from the general data you gathered above. Segment this audience further based on their education. I focus on age since it usually correlates with career advancement (older people tend to be in positions of higher authority). In most cases, the above three age groups would form three separate customer personas. Research each of these age groups separately. For example, focusing only on 25-34-year olds shows me that 54% of this audience is female. Persona A: 25-34-year-old male with an undergraduate degree working in a managerial position in marketing. Hangs out on social media and career-focused websites. Persona B: 25-34-year-old female with a graduate degree working in a sales or media position. Follows SaaS businesses in the MarTech space, reads established marketing and business bloggers. Do this for all the different age groups until you have a handful of customer personas. If there is an alignment between your content and customer personas, you should see a healthy engagement rate. If not, try narrowing or expanding your target audience. See this guide if you want a primer on running Facebook ad campaigns. Once you have all this data, it’s time to create your final customer personas. Add a picture representing the persona. Use stock images or find something on MorgueFile. Give the persona a fictional position (“CEO at Stark Industries”). Summarize each data point in a single sentence. 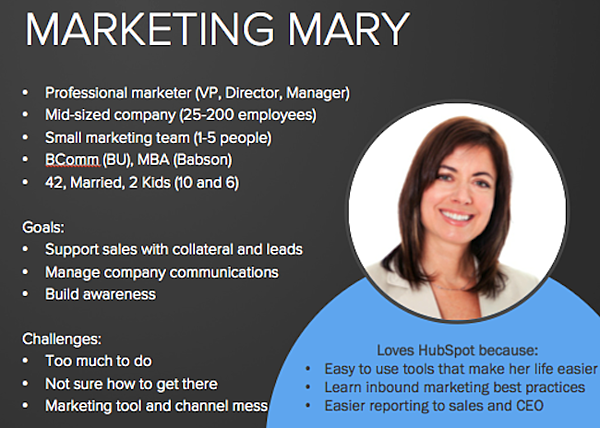 You can use PowerPoint or the MakeMyPersona tool from HubSpot. 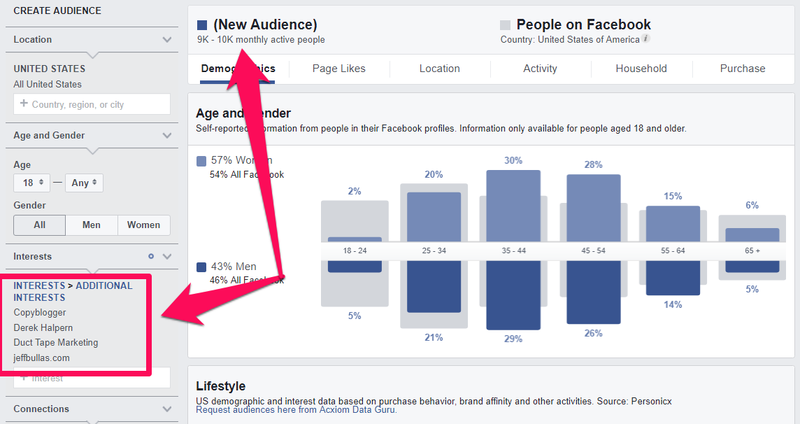 Facebook Audience Insights can be used for a lot more than running Facebook ads. The insight you gather from it can also help you create customer personas for your content marketing campaigns. By researching your closest competitors’ audience, you can learn about their demographics, their favorite products, what industries they work in, and what influencers they follow. It’s not more accurate than running an expensive customer survey campaign, but it’s a lot better than going in blind. Plus, it will neither cost you money or take up too much of your time.